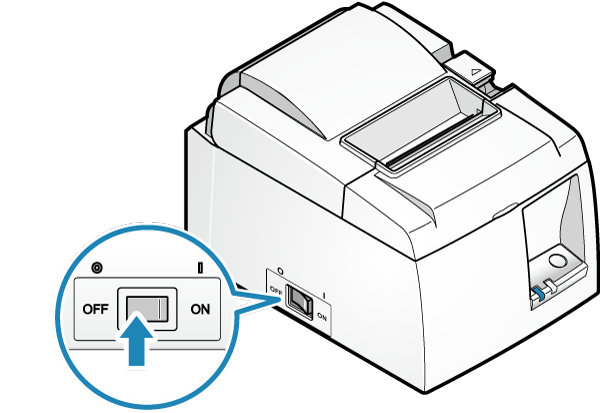 If the printer cover does not open even when you press the open lever, it is likely that a paper jam has occurred, and locked the cutter. Do not force the printer cover to open or pull on the paper. First turn off the power and then turn the power back on again which will automatically release the lock. 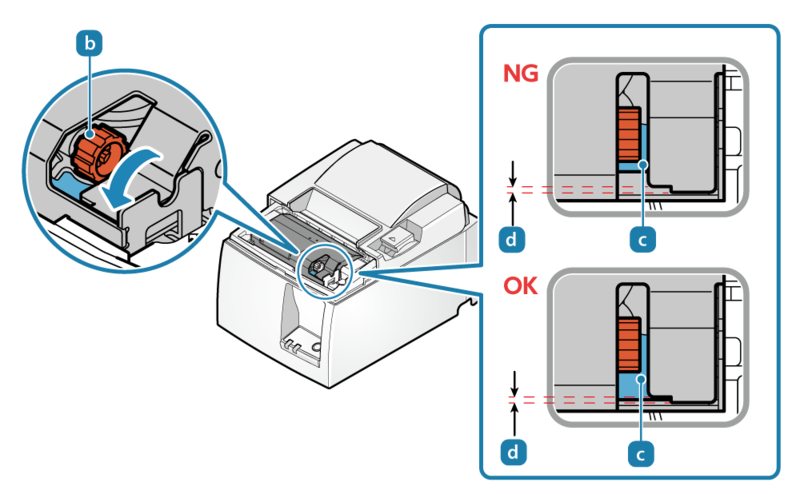 If the lock is not released even after turning the power on, release the lock according to the following steps. The cutter is inside the front cover. Do not touch the cutter blade. Before opening the front cover, make sure to turn off the power. Press the power switch on the side of the main unit. 3. Remove the paper that is jammed inside the front cover. 4. Move the movable part to the home position. Rotate the cutter knob and move it until the movable part is positioned in the home position . 5. 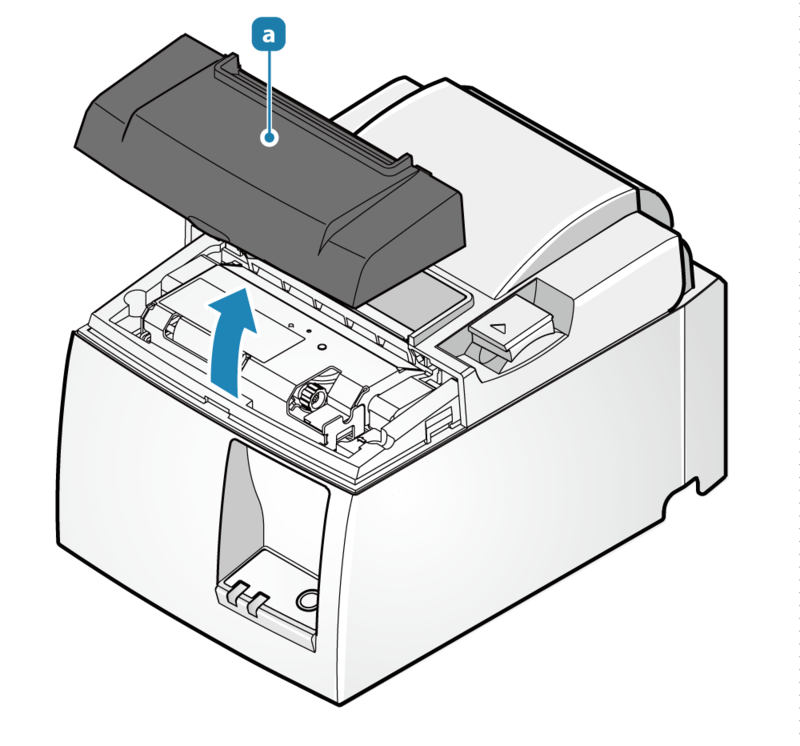 Remove the paper that is jammed inside of the printer.